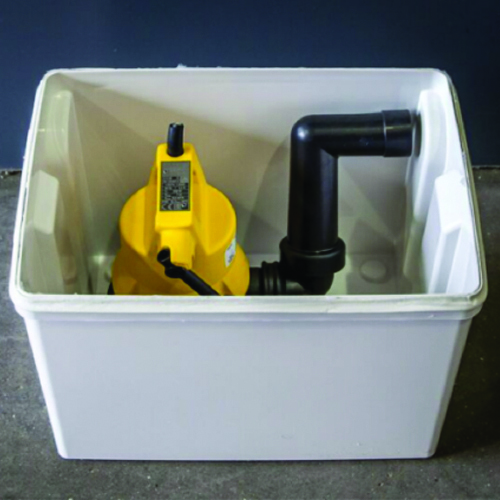 Floor-mounted waste water pump range that allows you to put a kitchen sink or even full commercial kitchen virtually anywhere. The same is true for a utility room or laundry facility. Our systems are designed to deal with hot water from combination ovens and can be provided as a single or dual pump. These have been recently contracted by KFC via the combination oven supplier as they are able to cope with the quantity of very hot water that gets disposed. 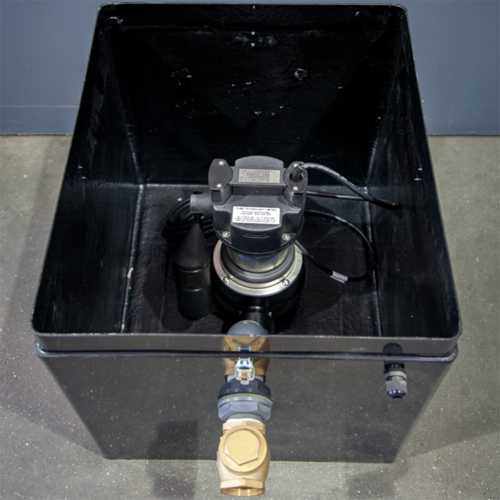 All of our waste water pump systems use charcoal filters for venting purposes, the Charco vent and micro vent. We have inline strainers (PTL 1LS) which are commonly used in hairdresser shops to prevent hair getting into the pump systems. These are NOT designed to handle grease or food particles found in kitchen sinks. We have a range of high-level alarms to be used with our floor mounted systems which will sound should the pump not activate. 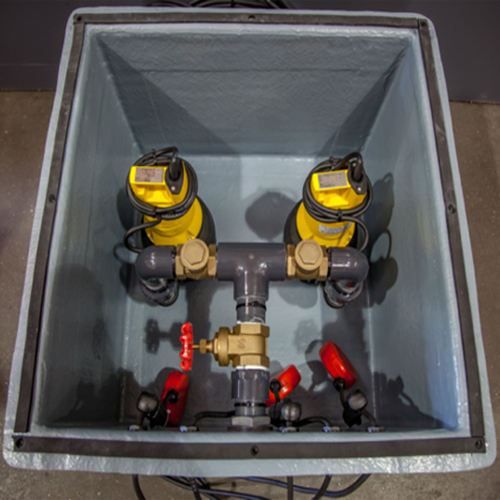 Our waste water systems require venting. If they cannot be vented to atmosphere then we have carbon filters that can be used i.e. Charcovent or Microvent. The waste water pump systems are widely used by Sainsbury, Tesco, Aldi, Morrisons, Waitrose, Caffe Nero and Costa Coffee who have been using these water pump systems for over 15 years with great success. 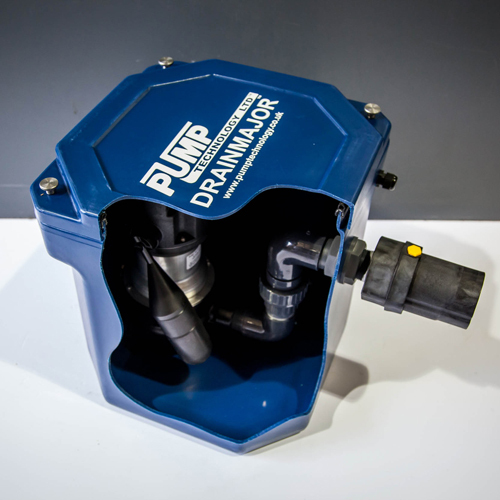 We also have a domestic waste water pump, (the Drainmaster) which has been marketed and sold for the last 20 years which is a testament to its quality and durability. These dirty water pumps are for the disposal of very hot dirty water that is common in commercial kitchens, laundries and especially coffee making areas.